The Local view likes…Miles Garage in Tunbridge Wells, TJ Upholstery Wadhurst, Groombridge Farm Shop. This week ‘The Local View’ has put together Miles Garage, TJ Upholstery and Groombridge Farm Shop, a pretty unlikely mix. But they are all local businesses run by families or individuals and all are highly recommended, suggesting that the personal touch quite often offers the best service. 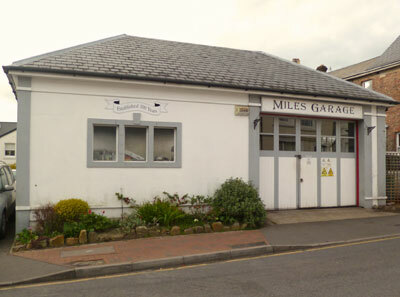 Miles Garage (milesgaragetunbridgewells.co.uk), is based near the Grove in Tunbridge Wells, up the hill from the High Street, tucked away amongst a warren of back streets. I love the traditional frontage, no plastic signs or ugly facia here. Behind this is a hive of activity. Reception is on the side (not immediately obvious) and gives a glimpse of what goes on in such a small space. On my first visit with a car with ‘squeaky brakes’ they said they would clean, test and check whether the pads/discs had worn. I expected a call back saying that was the case but they came back charging me minimal labour and hoping that the clean had done its job. They are friendly and helpful, offering sensible ways of finding and sorting ‘car’ problems with less worry about being overcharged. Tim and his wife run TJ Upholstery (tjupholstery.co.uk),inherited from Tim’s Father in Law who used to have a shop in Tunbridge Wells. In a small workshop just behind Wadhurst High Street he can transform your tired upholstery or furniture into something quite special. I’ve had a few quite ugly inherited (with the house!) victorian chairs improved and a lovely chair that looks as good as it did when Tim finished it over ten years ago. 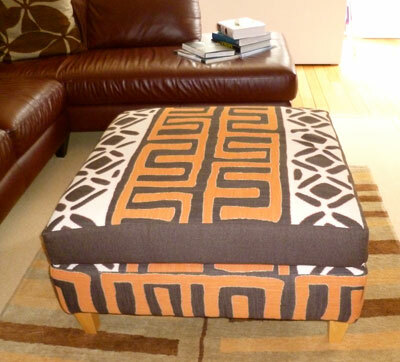 Recently he made a footstool look very ‘Andrew Martin’ with a fabric I spied in the remnant bin at Mary Ensor’s (ensorinteriordesign.co.uk) in Frant. Don’t be put off by some of the pictures on their website, remember Tim doesn’t choose the materials himself (!) but he does do a super job. 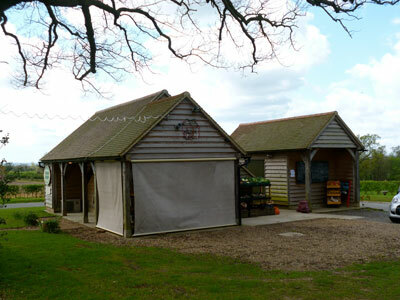 Groombridge Farm Shop. Not actually in Groombridge, sitting by the junction at the top of Groombridge Hill coming from Langton Green, shaded by a magnificent oak tree. Specialising in asparagus when in season and more recently concentrating on pumpkins and squashes for the back end of the year. The idea started off as a hut only selling asparagus, then morphed into a shop. You can buy a selection of Speaight’s meats (saves parking in town), Wealden Smokery products (saves a hike to Flimwell), honey, jam, cakes, frozen fruit, fresh fruit from the farm (soft, bush and stone), local milk and cream, Groombridge bread fresh from their bakery, veg, flowers and local Stas chocolate. Really friendly staff and with well stocked produce, the shop is managed by Caroline Derrick who in one of her other guises is doing great things for road safety in and around Tunbridge Wells. They also have very good suppliers of local game and a family-run fish business who travel up from Rye a couple of times a month having prepared the fresh fish that morning.